This was a gift for my Grandson ... He loves the comfort ! This luxuriously plush Euro Top mattress features Serta's 391 SertaFlex Innerspring to help ensure excellent support along your entire body. 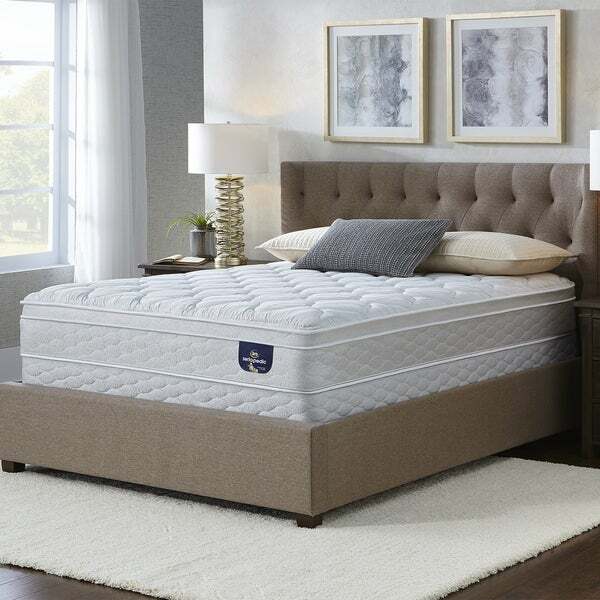 Plus, a layer of Serta Balanced Support Foam creates that just right combination of cushioning comfort and enhanced support while Serta Comfort XD Foam gently cradles the body for enhanced pressure relieving comfort. Love it. I worried 9 inch would be a problem. But it is not!! Great mattress for medium softness. Not to hard not to soft. Just right. Good mattress. Soft and comfortable yet still supports. The picture shows it as being all white, but the sides were a light grayish blue. It's light so makes it much easier to make the bed. Lifting my old heavy mattress to put the fitted sheets on the bed was killing my back. This mattress solved the problem. Excellent comfortable bed. Stays cool and is a nice firm/soft combination. The price and value is extraordinary for the brand and quality of the mattress. My boyfriend and I have different ideas of comfort...I like a plush mattress and he would be ok sleeping on a rock. This is a happy medium...although if you are looking for a cool mattress this isn’t it. We had to buy cooling sheets. This mattress is wonderful. I bought the full sized for my teen daughter and she loves it. It is soft but firm enough to hold weight. She has slept better every night and I have honestly taken a nap on it too becuase it was so comfortable. Perfect mattress for our 10 year old daughters room. I like Serta mattresses and this was a really good deal. "Can this msattress be used with an adjustable base?" "Is this queen bed a soft or medium? And can it be used with just the mattress?" "Does the king size box spring come with it?" No,the box spring is not included. "Box spring come with this"